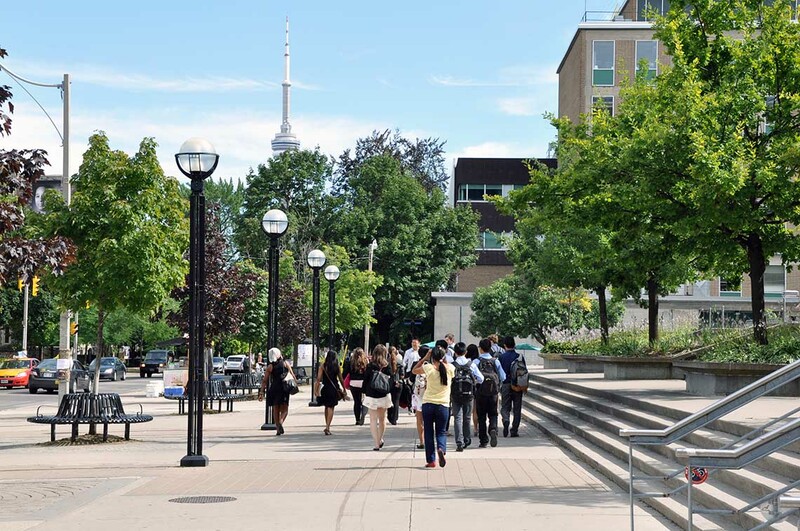 University is a time of big transitions for students. It can be their first taste of independence, with many living away from home for the first time – and of responsibility, with pressure to maintain good academic standing while in some cases holding part-time jobs. Amid the wave of change, students are also vulnerable to forces beyond their control. One-fifth of Canadians will experience a mental health disorder in their lifetime, with 75 per cent of those disorders surfacing before they turn 25. Furthermore, the number of students who report having mental health issues continues to rise. “We are seeing on post-secondary campuses an increasing number of students seeking help and that's due to a lot of factors,” says Andrea Levinson, psychiatrist-in-chief of Health & Wellness at the University of Toronto and an assistant professor of psychiatry. In a letter to the community last week, U of T President Meric Gertler announced an action plan to address issues of student mental health, including a task force to review mental health supports and services for students at U of T.
President Gertler cited the 2016 National College Health Assessment survey, which found that in 2015, 46 per cent of Ontario post-secondary students said they felt so depressed that it was difficult to function, 65 per cent said they experienced overwhelming anxiety and 2.2 per cent said they had attempted suicide. Levinson (pictured right) spoke to U of T News about what exacerbates mental health issues in the university student population and what can be done to help students who need it. “Canadian youth between 15 and 24 are more likely to experience a mental health or substance abuse disorder than any other group,” says Levinson. While a lot of disorders will remain mild, a small and quite significant proportion will progress to more serious disorders over a 10-year span, she says. One of the biggest factors that has driven up the number of students reporting mental health issues, she says, is the work that has been done to reduce the stigma of mental illness. “Stigma is waning and there's an increased willingness for students to seek help.” In response, post-secondary institutions are putting more resources in place, meaning more students can be seen by professionals. There’s also been a shift in how students describe what they’re experiencing, Levinson says. It’s difficult, however, to do a deep dive into these statistics, she says, because there’s been a lack of research into mental illness among the post-secondary student age group. For those who accessed mental health services as teens, the move from high school to university often means finding a whole new set of providers, says Levinson. This coincides with students having to transition from child to adult services. Other students are unable to access mental health care as teens because they were outside of a service area or were hesitant to get help because of the familial or cultural stigma of doing so, she adds. When students get to university, new challenges emerge that can make coping with mental illness more complicated. They include the pressure to excel in school, uncertainty about the trajectory of their educational experience, finding employment after graduating and the burden of student loans, says Levinson. There’s also an increase in loneliness and isolation while also feeling the pressure to be connected via technology at all hours of the day, she says. “The post-secondary setting takes on the lion's share of transitional youth work,” says Levinson. That’s because the vast majority of emerging adults are enrolled in post-secondary institutions. Campuses are where young people live, work and study – so services need to be on campus to be accessible and provide early interventions to those in need. At the same time, the post-secondary population isn’t included in health-care reform, she says. Universities, in turn, have looked inward, launching health promotion and prevention initiatives, opportunities for social connection, and mindfulness programs, to name a few, she says. If you’re a student in need of mental health care and counselling, there are resources listed at the bottom of this article. Levinson suggests finding a drop-in centre near you, such as the What’s Up Walk-In centres located across the GTA. The service is free and does not require a health card. The key to providing the most effective support for students, she says, is making sure resources are easy to find and to access. For faculty, staff, colleagues and friends of students who are facing mental health challenges, there are on-campus resources to help create a safe and supportive environment. The Identify, Assist, Refer program can help staff, students and faculty through that process, says Levinson. The initiative is available online for the first time this year. Self-care has been an important part of the conversation around mental health online, and Levinson says it’s “hugely important” for everyone to embrace. Practising self-care is all about balance, she says – it’s getting enough sleep, staying active, eating healthy and unplugging once in a while. “There are tools in your toolkit to maintain wellness,” she says. While self-care can help with the management of mental health, mental illness requires medical intervention, says Levinson. “Mental illness needs profession intervention, assessment and treatment,” she says. Feeling distressed? Find someone to talk to right now – and if there is an immediate risk, call 911. U of T Scarborough: Health & Wellness Centre 416-287-7065. Free 24/7 support is available outside the university. Students, staff and faculty can speak to a trained crisis worker at any hour of the day. Appointed faculty and staff have access to the Employee & Family Assistance Program (EFAP), offered through Homewood Health, online and by phone at 1-800-663-1142.